.Iconsider myself very lucky; I think it is no secret what an important role your teacher plays in a new student’s musical talent development. In my opinion, it is imperative that a music teacher has both a professional approach and a personality that can relate to all students regardless of skill level. A good teacher can find a way to develop a student’s musical skills even when the student may think they do not have any. A good teacher can see their students’ potential and find a way to relate their knowledge with a multitude of individual personalities. Instruction should be professional, yet fun and interesting enough to keep individual students interest and desire to learn. My parents were not musicians although my Mother loved to listen to classical music. I was just six years old when a group of teachers from Special Musicians School in Moldova, came searching in local kindergartens for talented young children who may be interested in attending their program. We performed little skits for them and my parents received a proposition from the best teacher from Special Musicians’ school in Chisnau to be my instructor. From there my musical skills and love for classical piano was honed. From seven years old until I was eighteen I attended this school. It was very difficult training and long hours every day. My instructor was very demanding on the use of proper techniques and development of a strong work ethic. After a few years while I was learning the skills necessary to become a classical pianist, I also gave my first private lessons at the age of 15 to younger students. It was then at this early age that I also discovered that I had a passion for teaching piano. A few years later when I was 18 I received my first official job as accompanist. I graduated from the Special Musicians School as a classical pianist and theorist. My theorist teacher was a famous organ and piano player in Chisnau named Anna Strezeva. She was awarded the prestigious title of Honored Art Worker. Ms Strezeva actively performed more than 1200 solo concerts in the republic of the former Soviet Union, touring all of the cities that had organs, which she could play. I was again very lucky that my parents gave to me the possibility for many years to also take private lessons from Ghitlea Strahilevici, who was considered the best pianist and Honored Artist in all of Moldova. She was a wonderful woman who also instilled in me not only the passion for music, but the importance and passion for teaching. Afterwards, while studying in Pedagogic University and Conservatory I still stayed in contact with Ms Strahilevici to ask her opinions and solicit her advice from time-to-time on my advancing musical pursuits. All of my great teachers instilled in me a desire to always have an open mind for new musical experiences and knowledge. I recounted all of these teachings when I decided to attend University in Saint Petersburg and study to become a conductor for one year; however, finished my degree in Academia of Art and Music, and later Master’s degree in Marketing and Management. 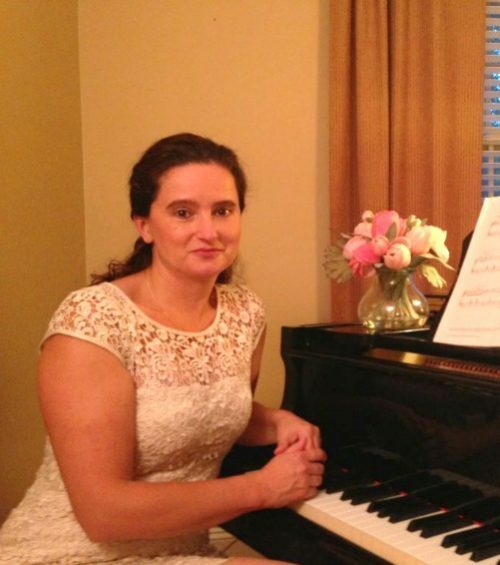 I receive great joy and am very passionate about teaching my students both the technical side of piano, and the beauty of the art of the instrument. I always remember my teachers and try to instill in my students the same passion they had. I have had the pleasure to meet many talented students of many different ages and nationalities. I speak fluent English, Russian, and Polish. I am very happy to now live in America for the past three years, and very much look forward to my new teaching career at Virtuoso School of Music and Art.